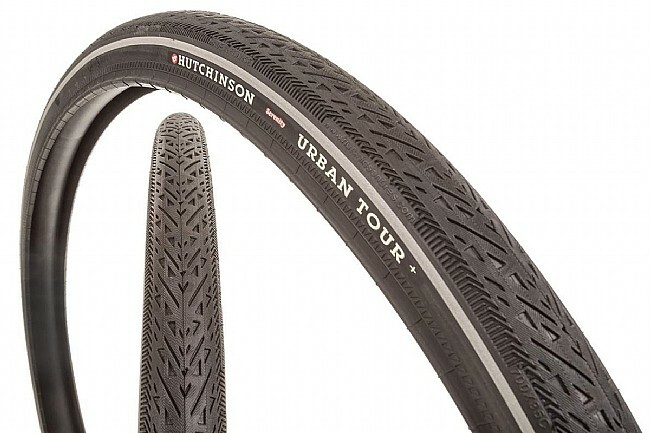 With Hutchinson's Urban Tour + Serenity 26 Inch Tires flats are officially a thing of the past. 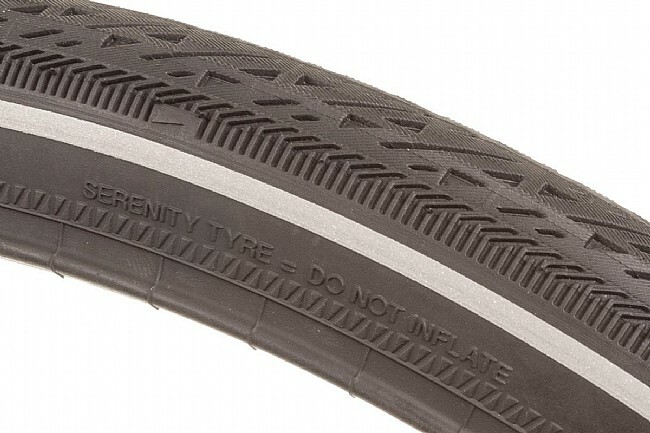 With an eye out for urban riders braving rough roads fraught with sharp debris, Hutchinson has combined their successful Urban Tour tire with their Serenity system for a tire that is flat proof. The solid Serenity tube is made from an aerospace material that mimics the characteristics of an inflated tube for a ride quality that previous solid tubes and tires can't match, while completely eliminating the potential for punctures. Also never needing inflation, once these tires are mounted, they are ready to ride for the life of the rubber. 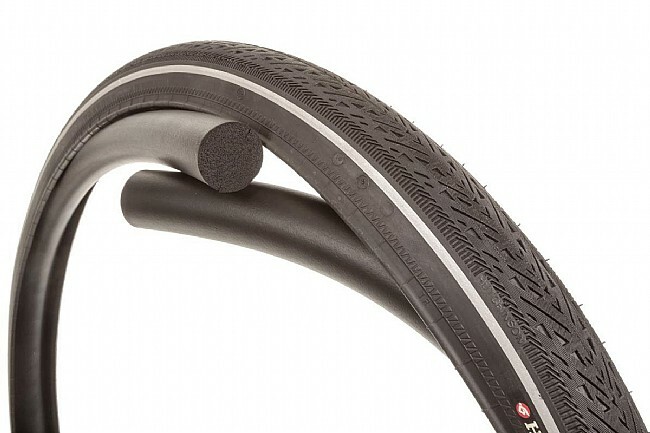 The Urban Tour + tire is no slouch either, easily shedding water with its unique tread pattern and providing additional nighttime visibility thanks to a reflective strip. The Urban Tour + Serenity 26 Inch Tires measure 26 x 1.5 (33-559 ISO). Sold as a pair. Weight: 1660 grams per pair. 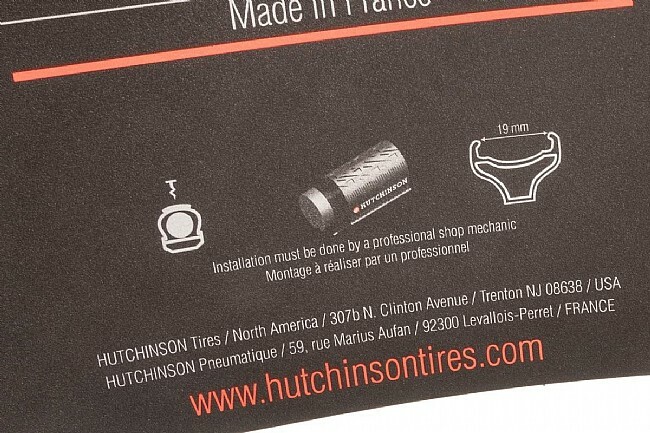 Note: Due to the solid nature of the Serenity Tube, this tire can be difficult to mount and Hutchinson strongly recommends mounting by a professional shop mechanic.